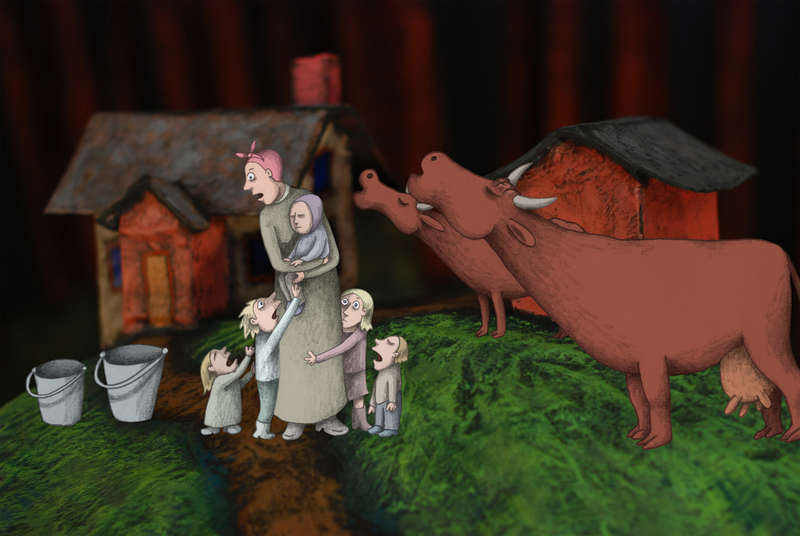 Signe Baumane is an independent animator originally from Latvia, now living and working in New York City. For years, she travelled the world with her animated shorts; most recently, she created her first feature, Rocks in My Pockets. Animation, as Signe points out, is a medium, not a genre as many label it. Anything can be told via animation (just as with live action), and in spite of its tremendous potential for storytelling, animation is thought of as being for children. This is due in large part because of releases from major studios that are for children. It becomes an uphill battle for independent animators like Signe to compete in the public’s consciousness with multi-million dollar marketing budgets of children’s animations. 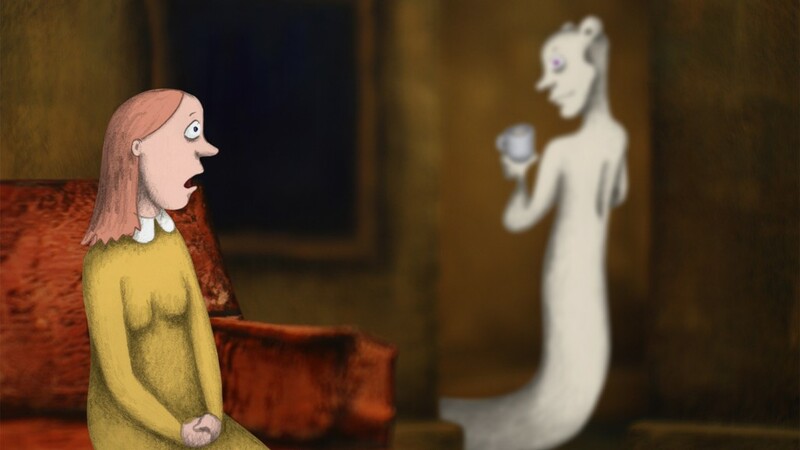 Adult animation falls through the cracks, with few distributors willing to take risks or knowing how to market such films. Even animation students are affected, as they are drawn to making children’s films (even as shorts) because of the realities of the marketplace. Signe frankly doesn’t see a bright future for adult animation, with only a handful of animations made a year and just one or two making impact. For example, the Argentine animated feature Wrinkles (featuring Martin Sheen in the English dub) played New York (IFC Center) for just one week before ending up in various VOD arenas. The film is a powerful story dealing with Alzheimer’s disease and aging, but received nowhere near the notice that Still Alice did. On the upside, life as an independent animator can be liberating artistically. Having made 15 short films over the years, Signe was looking for a new challenge, and a feature film seemed to be the next logical step. Without the backing of a major studio, she had financial challenges. There are two ways to deal with that. First, she funded the project via Kickstarter, in part by appealing to those for whom a subject like depression has a particular resonance. Then there is also the more everyday aspect of controlling one’s expenses. She admits you have to have a certain level of obsession and a willingness to adopt an almost monastic lifestyle with few worldly comforts and a single-minded devotion to one’s art. Creating the film wasn’t a completely lonely existence, however. She collaborated with boyfriend Sturgis Warner in doing the voiceover (he is a theater director). He was able to have her literally “find her voice” even though she has no real acting background. After the film is complete, distribution becomes another hurdle. Signe found distribution, including for educational and theatrical markets, through Zeitgeist as well as a digital VOD platform called YEKRA, which uses an affiliate marketing model. Signe has also had some recognition regionally for her work. Last March, she was awarded a Creative Vision Award by the prestigious Boston-based Chlotrudis Society for Independent Film, the first animator to win that award. She also won the Buried Treasure Award for the best film of the year having grossed under $250K in the US. She has also contributed to a locally produced festival of international women’s animation called Womanimation!, for which she has created custom awards based on her work. Signe was part of the original inspiration for the festival; its seventh edition takes place this June in Providence. As for the future, in spite of the challenges, Signe remains undaunted. She has another animated feature in the works, although she still spends a great deal of time on marketing and distribution for Rocks in My Pockets. The new project will explore gender roles in marriage, and she is currently writing the script for the as-yet untitled project.